The second CP & EE programme was implemented in Rustavi, an industrial town in the vicinity of Tbilisi. 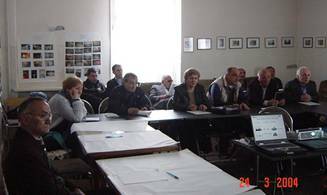 The programme was started in Rustavi in March and ending in September 2004. In total, 23 energy efficiency and cleaner production measures of different kind and size were identified, and some of them implemented during the programme period. As can be seen from the table, the identified potential and implemented measures represents less economic savings than at the first programme. This is mainly because the participating companies are smaller. After the end of the programme, some of the companies have been provided loans from the revolving CP&EE Fund. After the completion of the training programme, as can be seen from the table, the participating companies continue their in-company work. The achieved savings by November 2005 (106 750 USD/year) is more than the savings by September 2004 (6 090 USD/year).